We all are in the hunt to gain a competitive edge. Aren’t we? Staying aligned with the focus of this portal, in this post, we have discussed few of the best Hotel industry marketing strategies. Some key and essential marketing trends and strategies have entered the hospitality industry and they have become impossible to ignore. In order to survive the tough industry in these harsh contemporary times, it is essential for players in the sector to arm themselves with modern marketing strategies that can allow them to stay afloat as well as attract new customers. Thus devising strategies that work well in the hotel industry would hold the key to success. Given the rapid and non-stop pace of new developments, technology has now become commonplace and important in the travel industry. Hotel owners must now take steps directed at maximising their marketing efforts to adapt to the changing needs of the consumer and to better compete with other players in the industry. Few of our earlier posts have already discussed few of the advancement in technology for the hospitality industry. Embracing technology is the key to stay competitive today. Unfortunately or fortunately, it is no longer sufficient to just have your hotel listed online. In this digital age, it is vital to ensure that you have a firm digital presence. As such, social media must become a vital marketing strategy. To ensure success, every hotel must now invest in a quality website that can also facilitate online bookings. Your Hotel Website design should be of top quality. In short, it should be a visual treat for the potential customers. With review sites such as Trip Advisor now playing a vital role in influencing consumer decisions, it is important to get involved to get a share of the hotel industry market size. Get started now if you don’t already have an enviable digital presence. Hotel industry marketing strategy will now have to take into account customer insights into their marketing campaigns. The success of a hospitality establishment depends entirely on the perception that the customers have; if they find faults, customers are not afraid to share with other customers online about the various issues that they have encountered. Focusing on the customer service in the hospitality industry is the key to sustained growth. As such, when conducting any hotel industry market research, hotels must gauge who their customers are, and what they need in terms of service and entertainment so that as a business, you can improve on these things. Customer insights can be implemented easily as long as hotels ask the right questions. You probably found us on the first page of Google. Consider searching for most of the things regarding the hospitality industry and you would find us somewhere at the top. The key reason behind our search ranking is our focus on content. We create at Global hospitality portal what we believe is fit for our readers. We create comprehensive content to ensure that it is helpful to our target market. Same is true for the Hotel industry. Content has become instrumental if hotels want to rule various hotel industry market segments. Aside from the obvious need for an online presence, hotels have to make their websites engaging as a way of marketing to a wide pool of clientele. Online content is an affordable alternative to get into the modern methods of digital marketing. It can be through articles, through infographics or videos. Direct marketing that includes leaflets and promotions are also still beneficial and will continue to play an essential role in the Hotel industry marketing strategy. It is also important to influence the customer to retain them for the lifetime. Direct Marketing in the Hotel industry is still a potent force in acquiring customers. The hospitality industry is all about service and it’s by the direct interaction that customers can be retained. 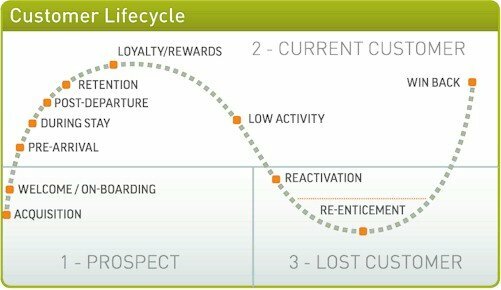 The image below gives a snapshot of the Customer lifecycle of an example customer in the hotel industry. This again is one of the most useful and one of the top hotel industry marketing strategies in this technology era. Everyone is online and mobile in this era and thus it is important to stay ahead of the competition by a fair margin. Hotels have a list and e-mail id of all the customers but they don’t use it. It is important to have repeat sales and thus e-mail marketing is crucial to retain existing customers and make new ones. Shoot your best offers to customers through emails and see the impact. Also, it is important not to have an impeccable Search Engine Optimisation (SEO) for your hotel website to ensure an organic growth online. According to Hospitalitynet, proper SEO and e-mail marketing should be a key component of the Digital Marketing budget for hotels. Marketing strategies such as TV and Newspaper advertising are still instrumental, but they are also quite expensive. Top Hotel chains across the world still shell out a huge part of their marketing budget for advertising in Newspapers. Probably, the return on investment is not as high with digital channels taking lead as far as return on investment is concerned. This used to be one of the key marketing strategies of the hospitality industry in the past. However, competitors like Airbnb and others are forcing the hotel industry to come out with innovative and cost-effective marketing techniques. 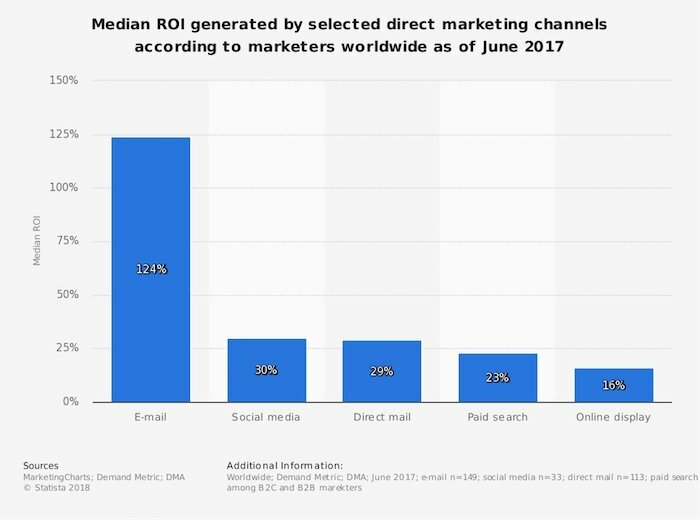 Check out the recent study by Statista about Direct Marketing channels. Now, compare them with the study by Nielson and Profitworks. The data in the Nielson survey is from 2009 and the digital presence has only increased ever since. While advertising still have a long-term return on investment, but the affordability issue and ease of promoting through digital channels make Newspapers and TV advertising less attractive. This seems to be one of the crucial hotel industry marketing strategies in the current era. While social media promotion is a no-brainer today and most of the hotels are already paying huge attention to promoting everything on social media. This at times is even close to over promotion. However, the social media is now stacked and it is important for the hotels to allow some money to paid social media promotion. Even on an experimental basis to start with. Paid media like Adwords or Facebook adverts might seem like a thing only for the leaders of the game. However, you can start for as little as $2 a day depending on the location. Try to get visible and integrate paid search marketing into your marketing strategy. Rate Gain advises social media marketing as one of the key marketing strategies for the hospitality industry and probably the most effective one today. This could have been covered in the Digital marketing or website section but with Google now going gaga over mobile sites, we have decided to give a special mention to going mobile. Going mobile going forward is going one of the most effective hotel industry marketing strategies. Well, it already is extremely effective as on date. Also, building an app has never been easier. It not only helps in enhancing the user experience but lowers your marketing costs in the long run. Spending time and money on having a super interactive mobile site or app is well worth. Here you go. 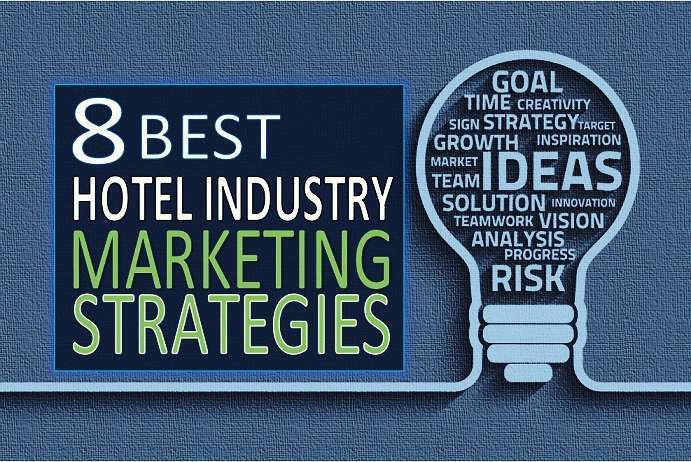 8 obvious yet not completely utilised hotel industry marketing strategies. There are a lot of other marketing strategies that can be used by the hotel industry to gain and retain a competitive edge. Hope you liked the list of few of these simple yet powerful hotel industry marketing strategies. There is a lot more information about the Hospitality industry at this all hospitality portal. So, please keep checking back or use the search box to carry on exploring more about the Hospitality and travel industry.